Wellington fashion designer Laurie Foon started the Starfish label in 1993. Starfish was distinguished for its emphasis on natural and environmentally friendly fabrics and local production. Collections were often inspired by social and cultural issues. 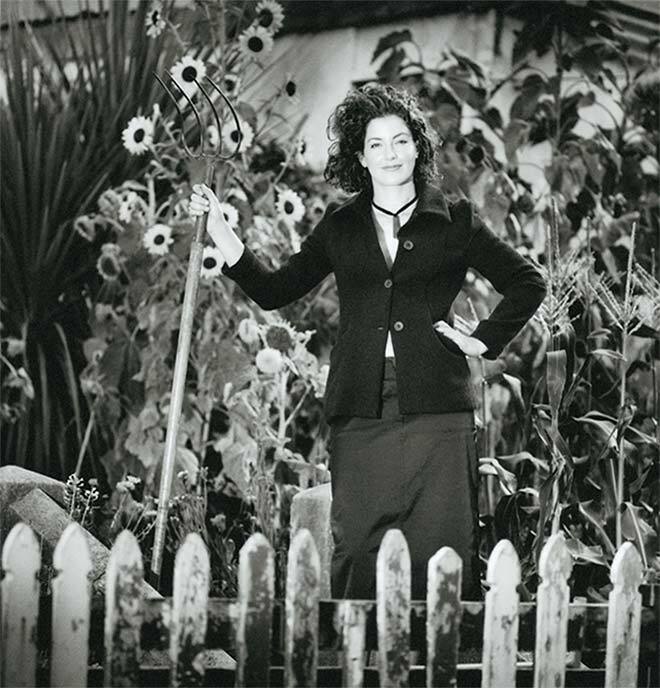 The photo shoot for the 'Urban progression' collection (1998) took place on the route of Wellington's proposed inner-city bypass road and models were Te Aro locals, like Hannah Zwartz (pictured), who lived and gardened in Tonks Avenue, part of the affected area. Foon was outspoken about her opposition to the road. Designers Laurie Foon and Fran Hornsby.